Celebrations. We use them to mark major events in our lives, we use them as opportunities to see people we care about that we don’t see often enough, most of all we use them as an excuse to over eat. Amen on that last part! To me celebrations also mean that I can spend hours on Pinterest ‘researching’ on what to cook, how to decorate, or find the perfect little DIY hostess/guest take home gift. I also like to show off the new additions to my little morbidly dark family. 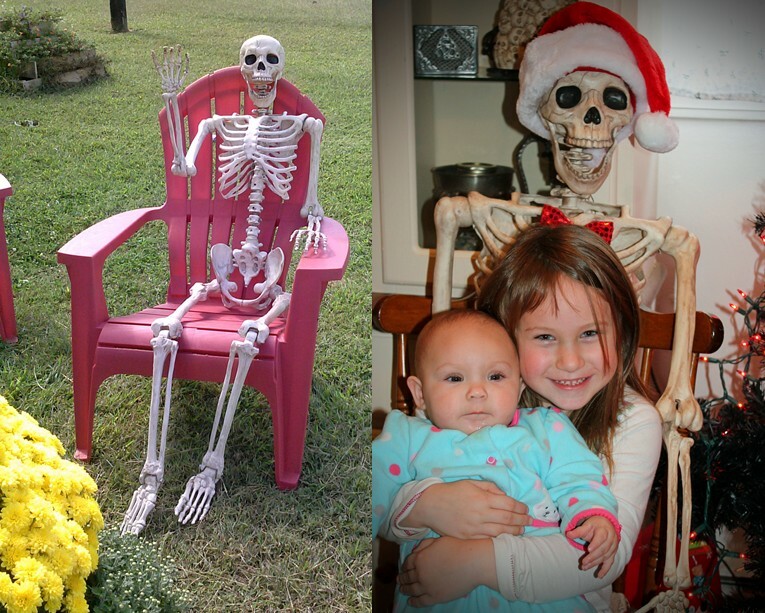 My two granddaughters (Little Miss K and her sister Miss S) and our most recent addition: Skelly. Skelly was a homeless soul who spent his time hanging out on a shelf in a big store. I saw him on several visits I made in September, finally I had to step in and give this guy a home. Skelly came home and spent most of the next few weeks sitting outside in a lawn chair waving to the neighbors and yes most waved back. I was finally able to coax him inside after Halloween. Now he sits at the kitchen table. So when I hosted Thanksgiving dinner this year I thought why not use this family function to welcome skelly? So yes Skelly sat between my mom and dad during the big Turkey Day meal. Afterwards during family picture time everyone wanted Skelly in their picture. A friend of the family posted the picture of them on FB stating he was her boyfriend. Skelly waving to the neighbors. The Thanksgiving celebration. Skelly just so happens to be sitting right beside me now watching me type this blog. So it was my year to host Turkey Day. I once cooked a whole turkey in the late 90s. A lot of work but it turned out good but I’m all about making things easy. So Pinteresting I went. Short time later….Crock Pot Turkey Breast pin was found. Oh happy day. This my fellow goth or goth loving friend turned out so good that this dish is a regular at the Gotha Stewart household. The trick is to find the right size breast to fit in your crock pot. Mine was a tad to big and the lid wouldn’t close completely, I knew once it cooked down some everything would be okay. Till then I put the lid on and used a brick on top to hold down the lid. Speaking of crock pot cooking. This was the first time I tried liners in the crock pot. Oh my dear. Why had I never used these things before? Best. Invention. Ever. I did not brown the top of the breast under a broiler. That’s more for looks anyway. The family was ready to eat so presentation was not a top priority. Rave reviews on this sacrificial bird! TRY THIS ! My daughter turned 20 this past August. I knew right away I was going to make her a multi colored cake. 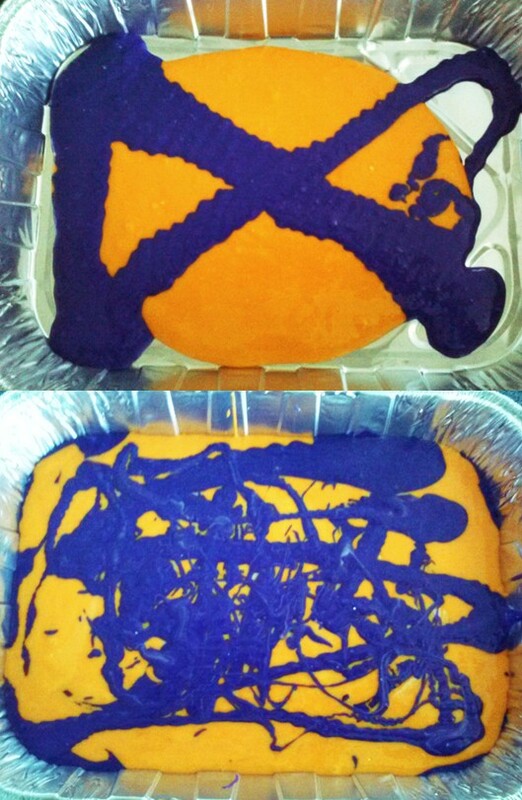 Purple/orange on inside with green icing. I used the batter coloring method from a past blog. 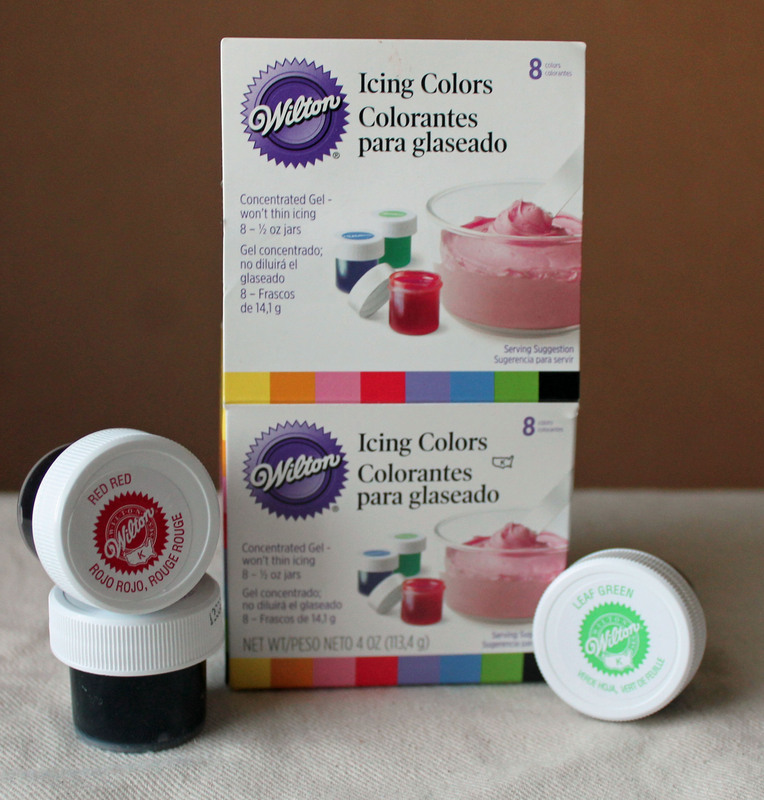 People have asked what I use to color the batter. 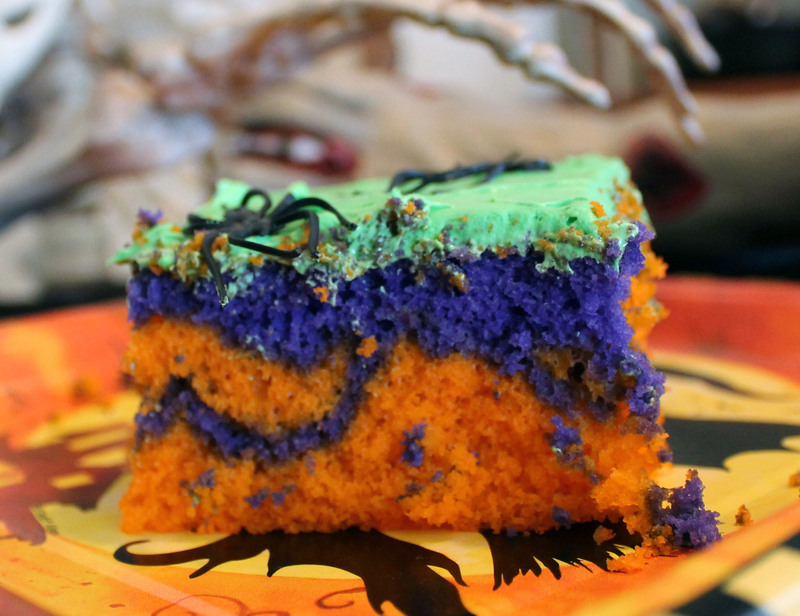 You can use the liquid food coloring or the thick gel stuff. I use the gel stuff. You can get a dark color without watering the batter down. What I use to color my cake batter. Plastic spiders are from Party City. Just wash them in soapy water before contact with food. My sister has a birthday this week. Sorry I cannot reveal her age. She would kill me. For her I wanted to make her a Midori cake. Pinteresting I went. Every recipe I found called for only a few tablespoons of Midori. Really? Just a tad? If I’m putting it in a cake I want to be able to taste it. So here is what I did, and you can too. 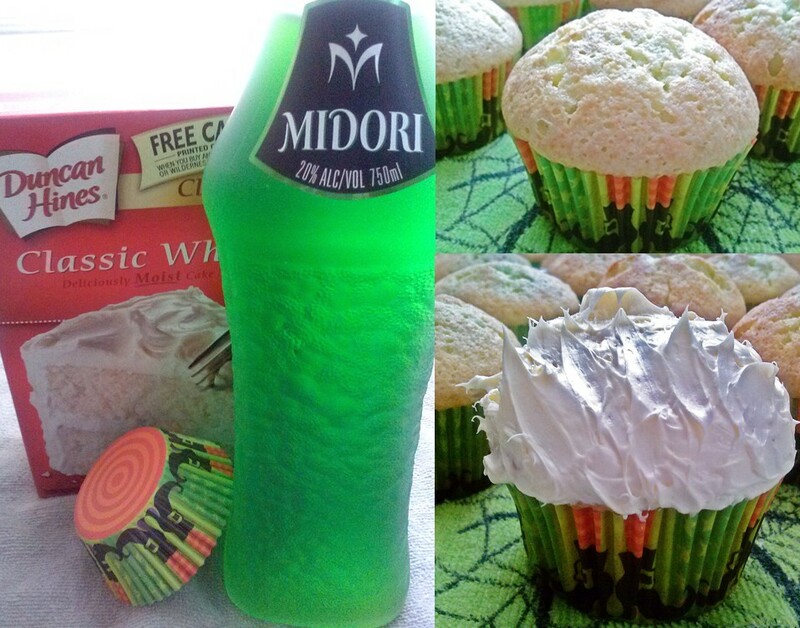 Whatever white cake mix or recipe you use, replace the liquid with Midori. If it calls for ¾ cup of water or milk. Use ¾ cup of Midori. The alcohol bakes out. For Sister D I made Midori cupcakes. You can use a little Midori to flavor the icing. I chose not to since children would also be eating these. The icing was a canned buttercream frosting. I will be prowling Pinterest for some icing recipes soon. 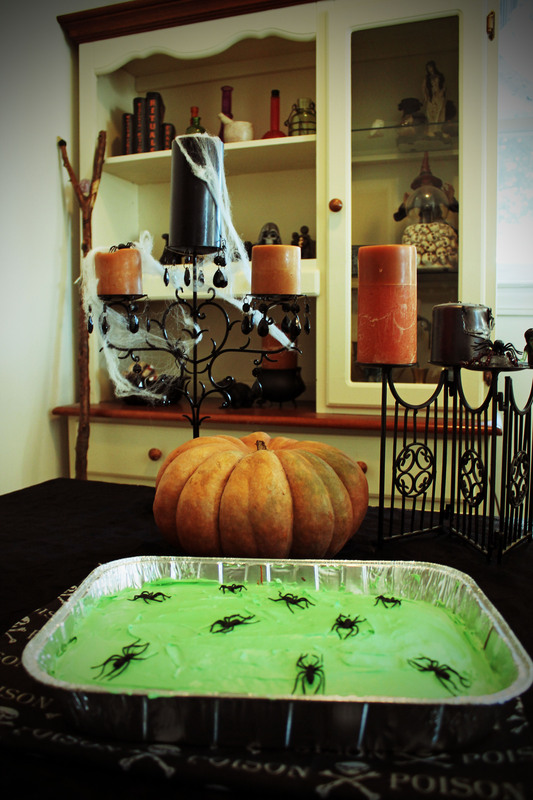 The result: The Midori itself is green but the cake will barely have any green color. Next time I may add some green coloring to the batter. Yes you can use a recipe from Pinterest if you prefer. There are many to choose from. There may have been some Midori consumption during the baking of these cupcakes. I blame Skelly. You may have noticed that all my celebrations have a little spookiness to them. If you have a little darkness in your soul like me don’t be afraid to let it bleed out into your life year round. I hope all your celebrations are dark and spooky ones! It has been awhile since I posted. Holidays, heavy work load and novel writing have taken me away from the Pinteresting Life Of Gotha Stewart blog. But I have still been trying things from Pinterest while also uploading some of my own creations to Pinterest. The hard part is deciding which to share with you first. Should I follow the wheel of the year by going season to season? Or should I buck the system and just go with some random make no sense order? Maybe I should flip a dead mans coin to decide. How convenient I just happen to have a dead man handy to go through his pockets. The winner of the coin toss is….randomness. Just like the chaos that is my life. So today we shall talk about care for that living dead skin. Zombie skin has more moisture than mine. I believe I have the worlds driest skin. So I’m always on the lookout for that ‘miracle cure’. I am ashamed of the amount of money I have spent on name brand high dollar lotions. Did they work you ask? Hell no. So I turned to the one place I could find dry skin ‘cures’ that us everyday hard working people have tried and are willing to share. Pinterest! What came up often in my searches was coconut oil. Oh my goodness, coconut oil is used for everything. Everything! 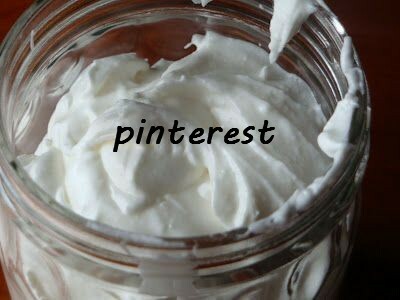 Do yourself a favor a look up coconut oil on Pinterest. Just be prepared to spend the day there exploring. 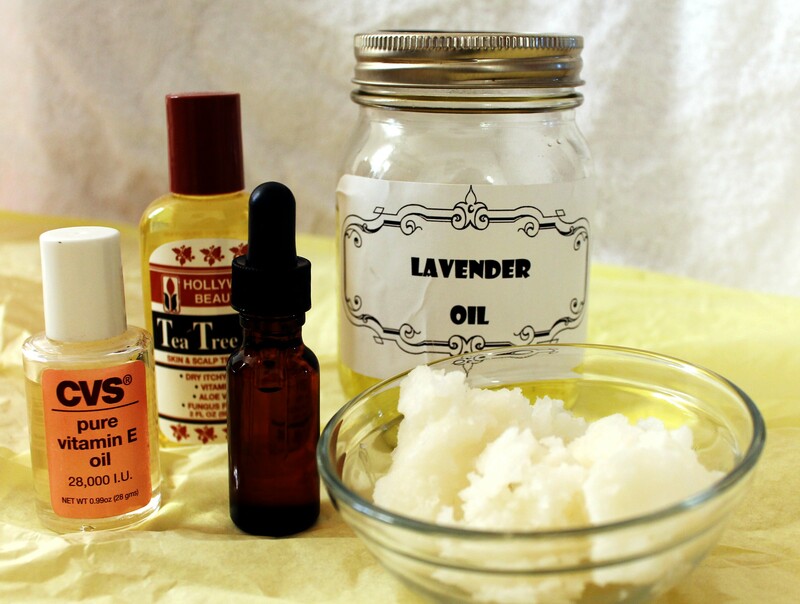 My favorite coconut lotion turned out to be very effective for treating my dry skin but also simple to whip up. The pin used only coconut oil but suggested you could add other ingredients. Container to store your whipped creation. First things first: for those not familiar with coconut oil. The oil is solid, like lard. It has a low melting point, 78 degrees. Your body heat will melt it just fine. There is many kinds you can buy: Organic, refined, unrefined, coconut oil expressed by young beautiful island virgins. Okay the last part is not true. But you get my point. Some people say they can smell a hint of coconut. I can’t. But hey I did snort pop rocks once when I was a teenager. My sense of smell could have been compromised from that wild night. Back to the whipped lotion. I’m not going to give you exact measurements. I’m not the measuring type. Except with baking. One must always measure with baking. Scoop out some coconut oil into bowl. A cup or more. Next add a few drops of the lavender oil, vitamin E oil and tea tree oil. Now if this is for my face that is all I add. For a body lotion or deep hair condition treatment I will add several drops of fragrance. Get out that hand mixer. Now whip it, whip it good. Several minutes. Once you have a bowl of fluffy goodness you are done. Transfer to your container. For the face, a little of this lotion goes a long way. I use it everyday and do not experience clogged pores or breakouts. But everyone is different. For skin, slather on. You will be greasy but the lotion will be absorbed in just a few minutes. For hair treatment, massage into scalp and hair. Optional: you can cover head with shower cap and apply heat from your hair dryer. You can leave the treatment in several minutes or one hour. Shampoo twice. 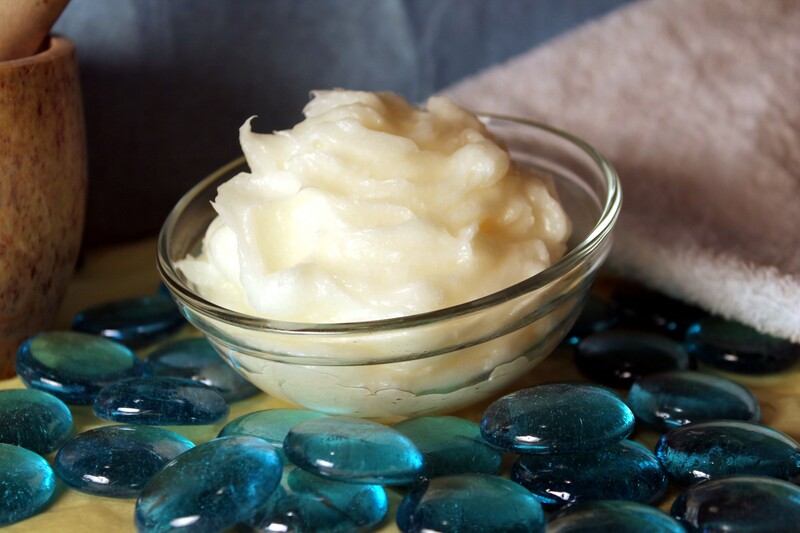 Add some sugar to your whipped coconut oil for a sugar scrub. I do this a few times a week. My living dead skin loves it. No go forth into that good night and whip it. Whip it good.